Residents of Durham Region are well-aware of the rising costs of homeownership; from property taxes to utility bills to the daily expenses of keeping their homes and properties appealing and in good repair, many local homeowners are noticing that their net income is being squeezed more and more each year. Consequently, many of these homeowners have been/are looking for ways to trim their expenses in order to keep a little more of their hard-earned money in their pockets/bank accounts. 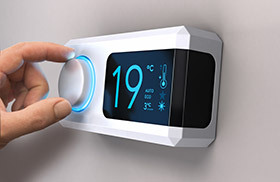 Adjusting their thermostat by one degree, doing their laundry during off-peak hours, and switching to energy-efficient lights are just some of the lifestyle modifications that are being initiated by residents of Bowmanville, Pickering, and all points in-between. While these are all viable changes from a cost-savings perspective, and should in turn be given due consideration, there are several other steps that homeowners can take to help reduce their monthly/annual expenses. Many of these actions require a minimal amount of time and effort to implement or complete, and those that involve some investment of money up-front will likely pay considerable long-term returns i.e. cost savings over time; of further importance, several can also help to lower annual home insurance premiums. Upgrading the wiring, plumbing, attic ventilation, etc. to all currently-accepted standards can play an important role in the event that homeowners need to make insurance claims or warranty-related claims; furthermore, in reference to the point made above about the possibility of reducing their home insurance premiums, it would be beneficial for Durham homeowners to strongly consider implementing Tips 6 through 9 above. Sometimes, when a home insurance policy is due for renewal, the issuer will merely send out a notice to the homeowner confirming the premium for the year ahead. This is done as a matter of convenience and it implies that no changes are to be made to the policy; but it can also suppress an opportunity to look for potential savings within that coverage. While simply rolling over a home insurance policy year-after-year may be convenient for many Durham residents, the policy might have been in place, unchanged, for quite some time. However, many aspects/features of the home may have changed since that policy was first issued, and the homeowner might not be aware that those modifications – such as a new roof and upgraded attic ventilation for example – could make them eligible for a reduced annual premium. The knowledgeable insurance brokers from Petley-Hare Limited can help the residents of Pickering, Bowmanville, and surrounding area review their current home insurance policy to determine whether they have the most appropriate coverage/protection at the lowest possible rate. In turn, Petley-Hare Limited will collaborate with their clients to develop a tailored insurance solution that best suits their respective needs. With three offices conveniently located across Durham Region, Petley-Hare Limited staff are immediately accessible to local residents and ready to offer the services their clients need to make sure they have the right home insurance in place. For further information on these home insurance services. To ensure that you are getting the best possible home insurance coverage at the lowest possible rate, call the professional insurance brokers from Petley-Hare Limited today at 1-800-216-5324 to speak with one of our representatives or contact us to schedule a consultation at your convenience in our Oshawa, Pickering, or Bowmanville location.